It is 1788, and twelve-year-old Cornelia [Nellie] Welche’s lives in her comfortable home in Soho, where her father is a high-ranking steward in the household of Prinnie, Prince of Wales. Nellie is mourning the loss of her elder sister, Eliza,manifested in her overeating her father’s cakes. The fact that Nellie she also suffers from a disfiguring birthmark does not help her appearance, attracting both sympathy and derision. 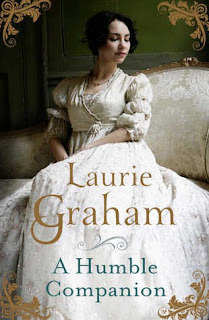 Her world changes forever when her father puts her forward as a possible companion to the Princess Sophia, the nine-year-old daughter of George III and his wife, Queen Charlotte. Nellie quickly discovers that not all princesses live in the lap of luxury, nor are their whims always catered to. That being Royal is a euphemism for a unique kind of neglect where boredom and lack of the best food or even winter fuel is a common occurrence. Nellie is not impressed – and is not backward in saying so. She also develops a charming affection for the unfortunate King George, who suffers episodes of the illness that would label him 'Mad'.